In the morning the team were invited to look around the ‘garden’ of an artist who owns a large area of virgin forest. The land surrounding his house was beautifully landscaped. They then had lunch with a TV chef who loves to sing her recipes (will post more info and link later) . She also has an interest in promoting Brazilian art and after lunch she took members of the team to meet artist, Byron Mendes. He has already made a number exhibitions in Europe and has another exhibition arranged at a London gallery soon. 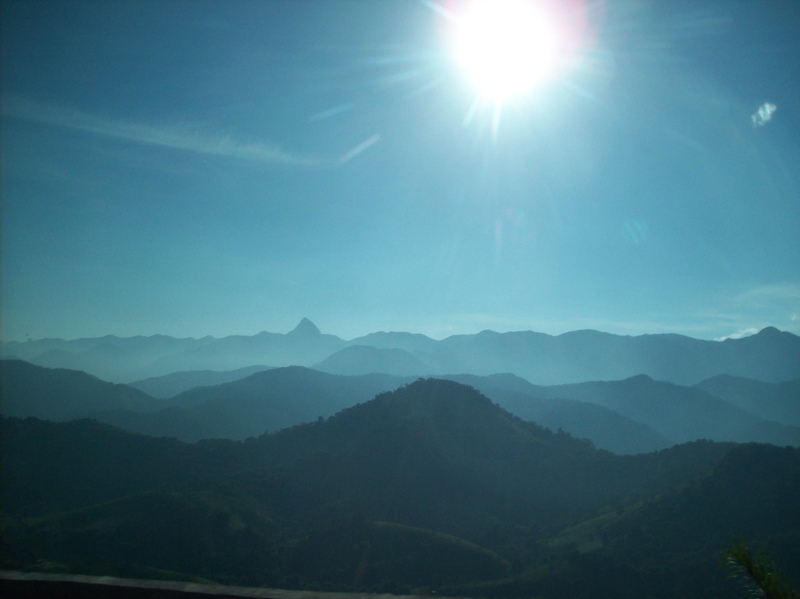 Today the team travelled by minibus through spectacular mountainous scenery to the area surrounding the imperial city of Petropolis. Their destination was a beautiful country house where they are to stay for the following three days. 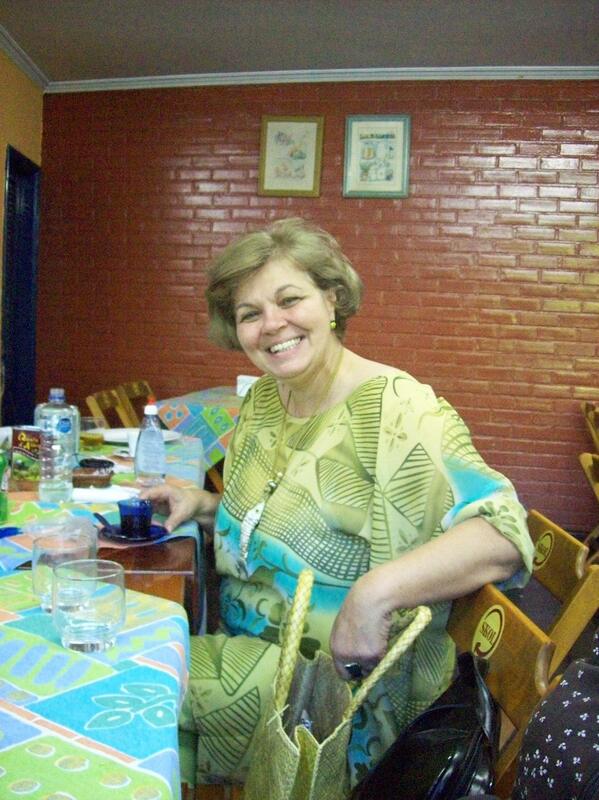 Later that evening they were treated to a family meal with some friends of their host family which featured a spread of Italian and Brazillian food, local beer and, of course, Cachaça. 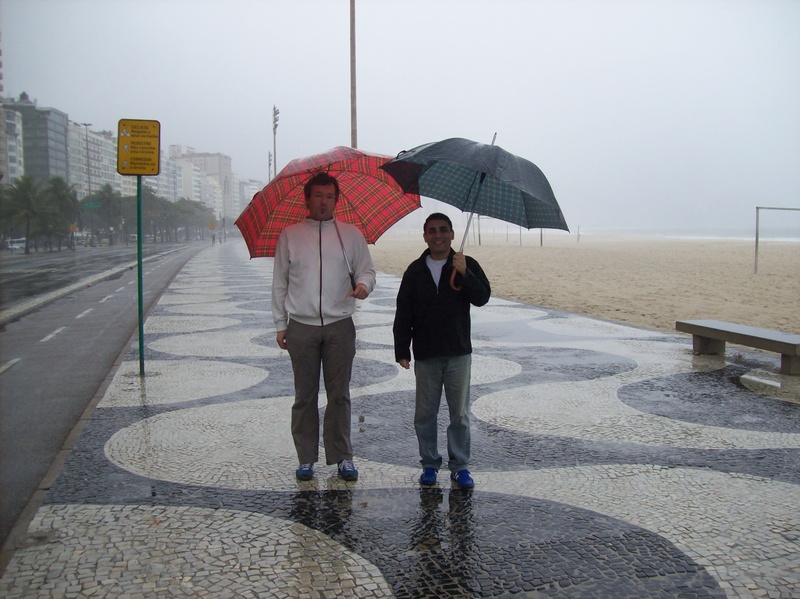 Rotary in Brazil is different from England and British Rotarians act differently when in Brazil. 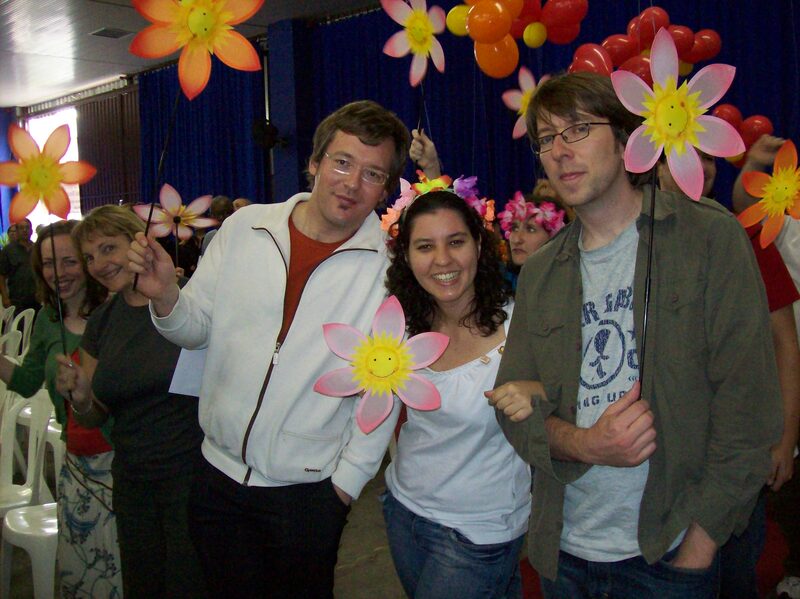 Elaine, Katie and Georg had a few life changing dance experiences during the post-conference party. It’s still not clear which team member was the star of the evening – Elaine who was asked to dance by numerous hunky looking men, Katie who found almost no time leave the dance floor for a drink or Georg who performed surrounded by a large group of female Rotarians. The night ended late for our three ambassadors and the next morning with aching knees, feet and (for Georg) a heavy/worried head came way to early. Meanwhile Chris was safe in bed having spent the entire evening recovering from his mysterious allergy. 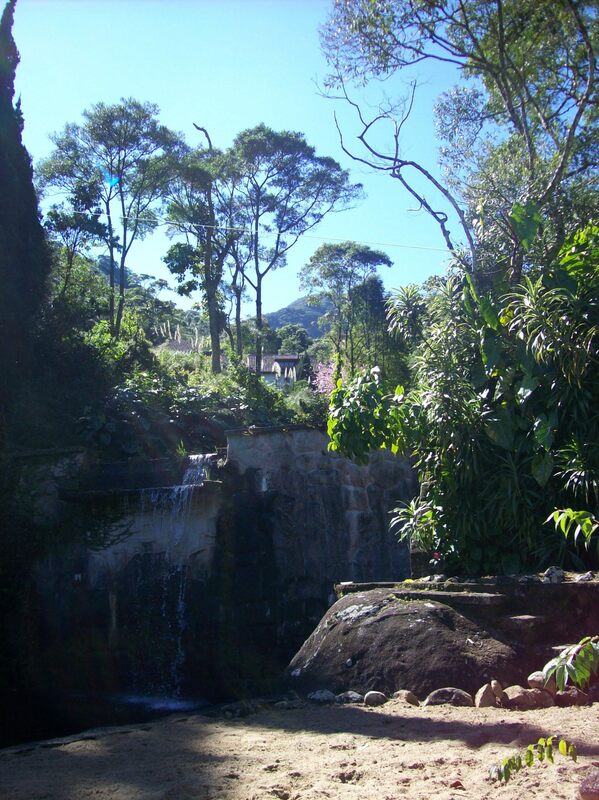 The team arrived in Sao Lourenca, a thermal spa town in the mountains outside Rio, for the District conference. This year the theme is ‘Conference of the Roses’ – named after the district governor’s wife Rosa. The group made their presentation on Friday afternoon after Samuel talked about the GSE programme and Maria talked about her GSE experiences in the UK and the Isle of Man. 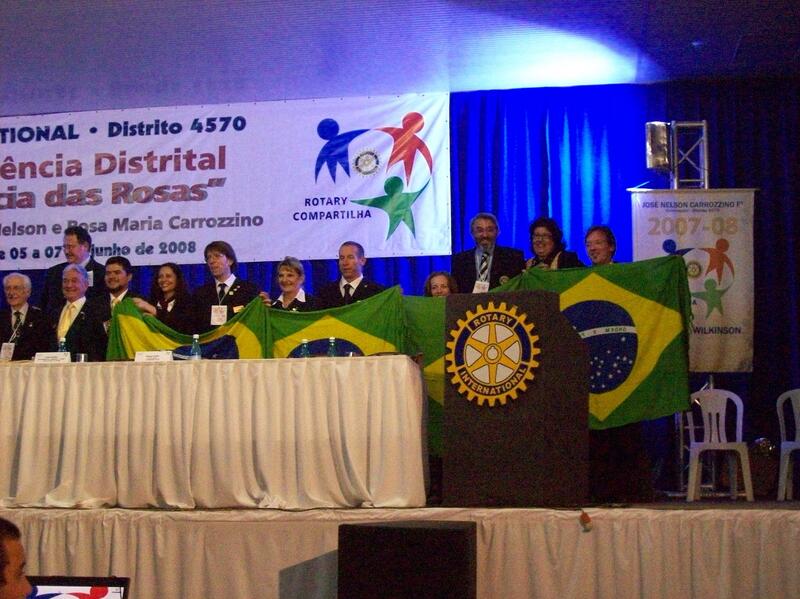 After the presentation the team were presented with Brazilian flags. The party later on included lots of Cachaça and some magnificent cheese balls that were enjoyed by all. The conference closing ceremony was a riot of colour as delegates paraded with flowers, singing about the marvellous city of Rio de Janeiro. 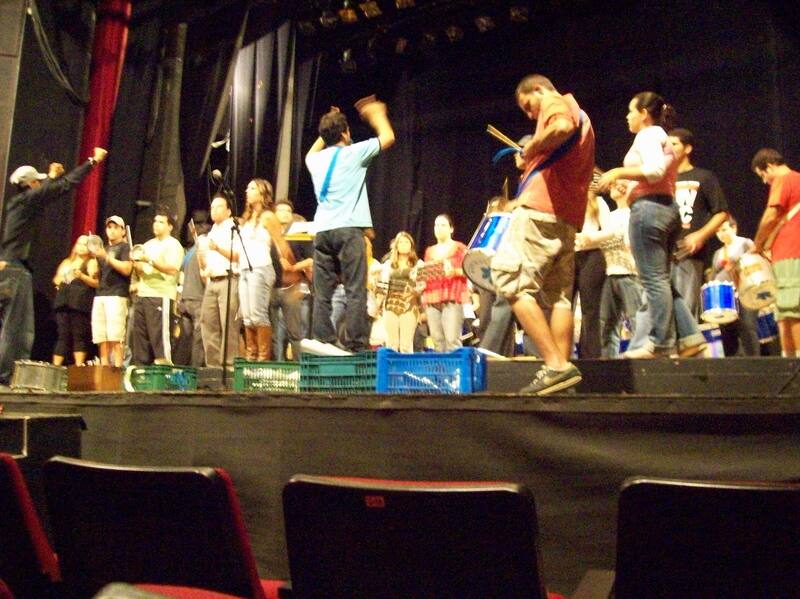 Tonight Chris, Katie and Chris’ host Bemvindo went to watch the famous Samba collective Monobloco rehearsing in the Baden Powell theatre. Baden Powell was a very famous Brazilian guitarist and as far as I know had nothing to do with the scout movement. About 80 people were participating on stage and the collective trains many people who are new to playing percussion instruments. The visiting party thoroughly enjoyed this insight into the band and are greatly indebted to Paolo and Fred for providing the opportunity. In stark contrast to the weather so far today’s weather consisted of relentless rain. 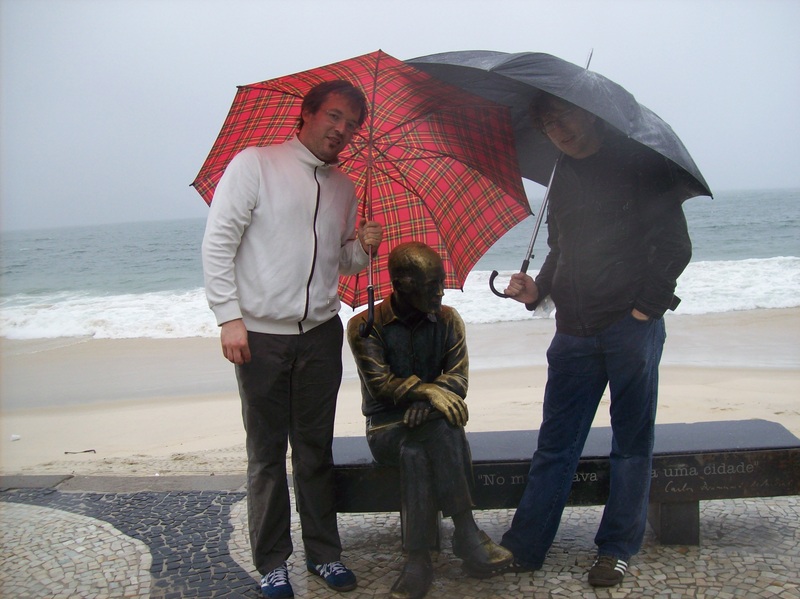 This meant that the second opportunity for the boat trip passed the team by, but Chris, Georg and their host, Milton, still enjoyed a stroll along the beach at Copacabana in the rain. 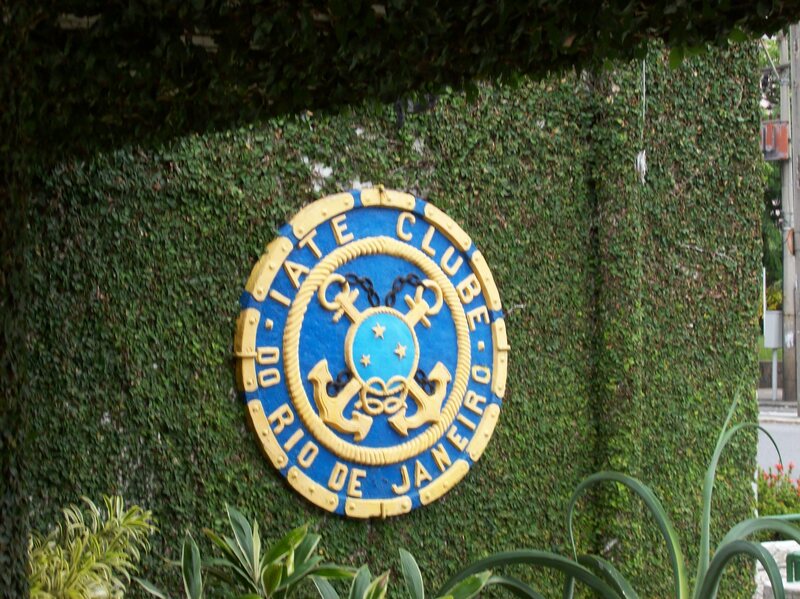 On Saturday the team were invited by Antonio to lunch at the Rio de Janeiro naval club. 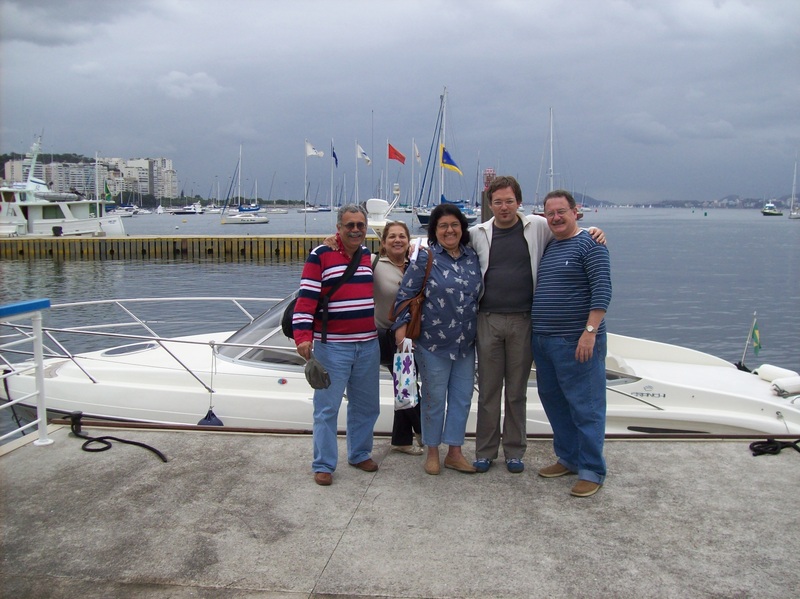 Unfortunately the weather wasn’t conducive to a trip in his boat but the feijoada at the club and the company were certainly worth the visit. Antonio is a doctor working with Cancer patients. He has worked in London at the Royal Marsden Hospital and also paid tribute to the work being done at Christies Hospital in Manchester. You are currently browsing the archives for the Social Activity category.